Venables Oak bespoke furniture is handmade by expert joiners using traditional methods in a variety of hardwoods and is hand finished to our customers’ style and requirements. We will also reproduce copies of particular objects, in traditional, period or contemporary styles and finishes. Venables Oak will design and make single items including tables, chairs, beds, dressers, bureaux and sideboards, or create furniture to fit entire rooms, including libraries, studies, walk-in wardrobes and media rooms, working to a customer’s own designs, or to an agreed plan. 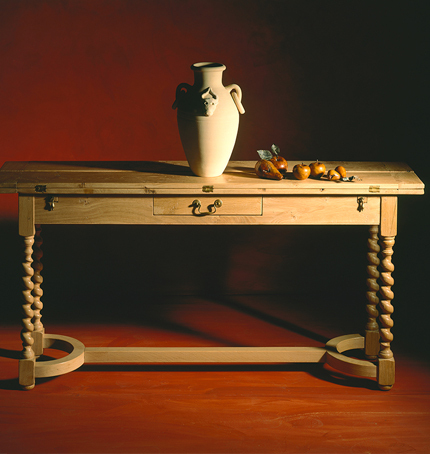 Download our Oak Furniture Information PDF so that you have the information you need at hand. Need some more advice or help before you purchase? Look no further Our Specialist Oak Team are happy to help.